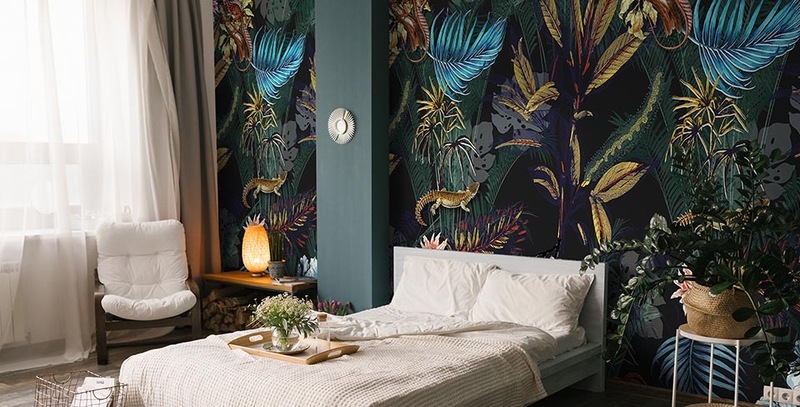 An abstract mural with an expressive pattern will look great in relatively minimalistic interiors. The color scheme kept in toned shades won’t overwhelm an interior, it will bring some decorative expression into it. The palm tree is a plant commonly associated with exotic vacations. 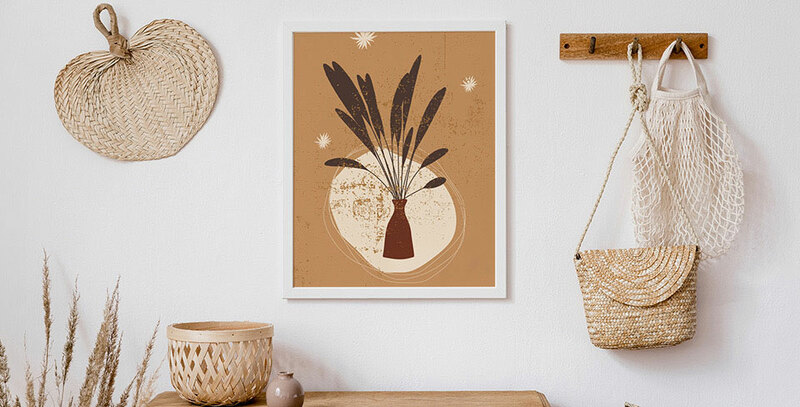 Putting its image on your wall will make you experience the adventure of foreign travels from the comfort of your own home. It can also evoke the memories of your past journeys. 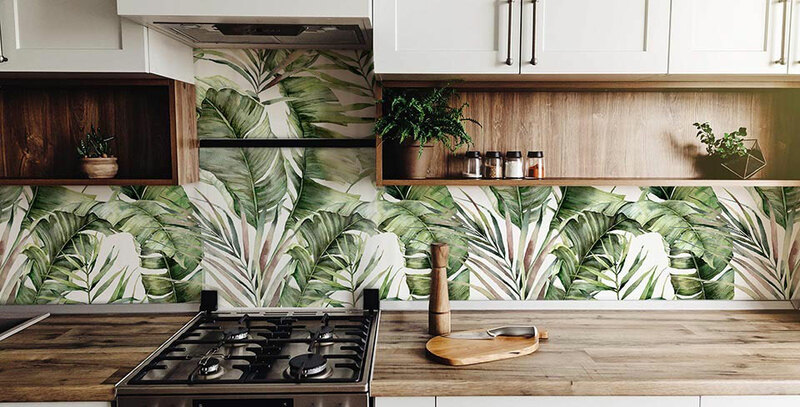 A mural with different kinds of palm fronds can liven up any interior. It's a perfect choice for a modern sitting room or a teenager's room. A mural with white orchids is an elegant accessory for a bedroom. Thanks to the universality of such motif, it will fit interiors decorated in various styles - from rustic and rural to modern, loft decor.